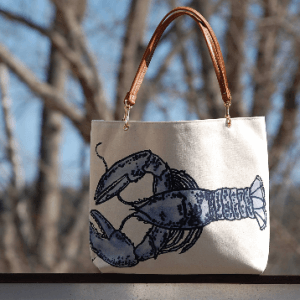 All handbags are designed, hand cut and sewn in my Maine Studio. Since all bags are made to order – please allow up to 2 weeks for your bag to be made. 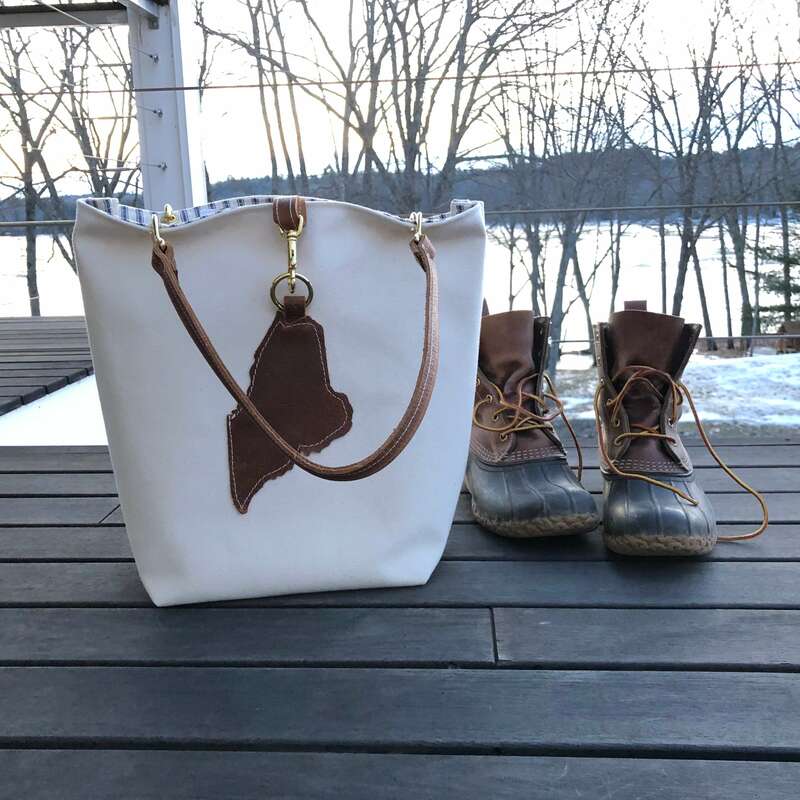 This design starts with a State of Maine being hand cut from leather. 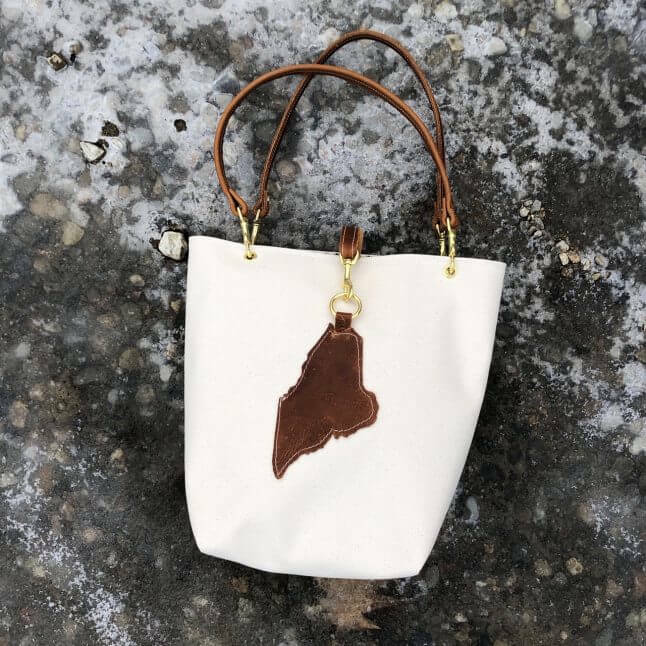 It is stitched to a heavy canvas exterior with a leather loop and brass ring as part of the bag’s closure design. 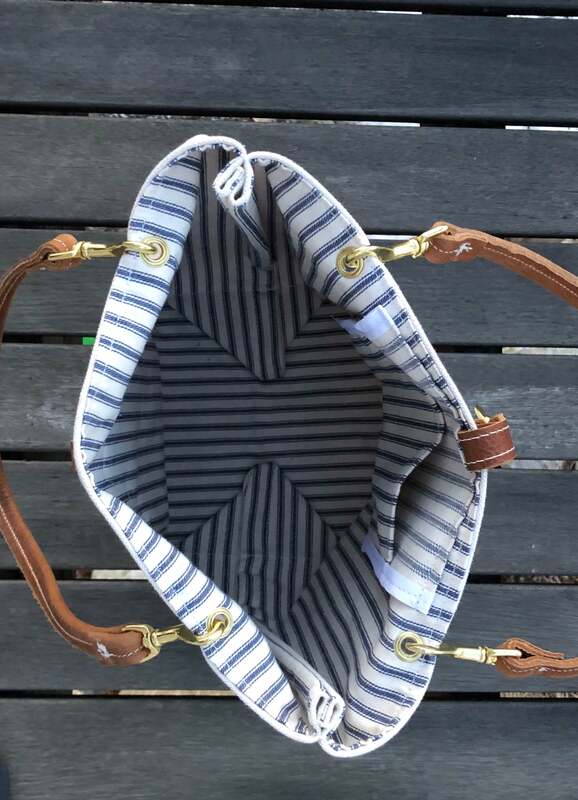 The interior is blue ticking with french seams and has a matching ticking pocket. 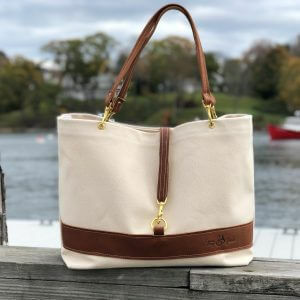 There is a leather strap with a brass snap hook that attaches to the brass ring on the front of the bag for its closure. 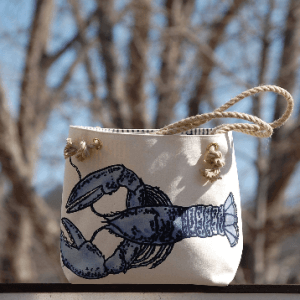 It is completed with leather straps and brass snap hooks. 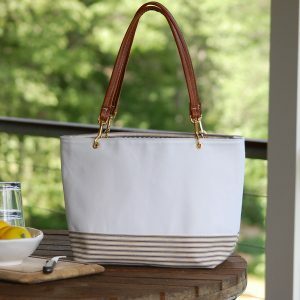 The size is a great size for everyday use.